It’s not easy to get start-up funding. In many ways, it’s easier to raise $5 or 10 million than it is to raise $100,000 or $1 million. In a big city like Singapore, there are more $50 million to $1 billion venture funds than there are $1 to $5 million angel funds. The reason is simple economics – the partners who manage big funds can earn excellent salaries from the 2.5% management fee. In a small fund, 2.5% barely covers the costs, which means the managers only real income is from their share of the 20% gains. There are lots of individual angel investors but they usually invest relatively small amounts of money. That means a large number of angels are needed to complete even a $500,000 start-up funding. The number of entrepreneurs looking for start-up funding is probably 20 to 50 times greater than the number looking for a $5 or 10 million VC round. The small funds and individual angels are usually deluged with requests for financing. Big funds have lots of money and less deal flow than they would like (these days). They all have extensive websites and often host industry events to maximize their profiles. They want to be easy to find, so they make information available. Angel funds are also reasonably easy to find, but are significantly fewer in number. Angels are relatively numerous but most work very hard at maintaining a low profile – in part because so many entrepreneurs are looking for startup funding. It’s impossible to get a list of contact information for individual angel investors. This means entrepreneurs have to work much harder to find angel investors for their start-up funding. The fees that are available to engage professionals are probably the biggest reason it’s easier to raise $10 million than $1 million. The costs to execute a financing are relatively constant as a percentage of the total financing. As the amounts of capital being raised increases, the process gets more efficient for the reasons described above, and the market rate for the financing fees go down a little. The total external fees for professionals assisting in an equity financing are usually in the ranges below. If a company wants to raise $10 million from VCs, or public venture capital, the fees can be in the range of $750,000. The fees to raise $ 1 million are around $100,000. The problem is the small financing requires more work to complete than the larger one. As a result, there are not very many professionals who want to be engaged to facilitate a $500,000 to $1 million financing. Compounding all of these other factors is the reality that the entrepreneurs working on their first startup funding are likely a lot less experienced than the entrepreneurs trying to raise a $10 million VC round. Almost all public financings involve fees paid to professionals – usually licensed brokers. With private financings, fees paid to professionals are controversial. Many funds don’t like to see a professional charging a success fee to help complete an equity financing. Nevertheless, most entrepreneurs would complete financings faster, and with better terms, with the help of an experienced professional. This is where an independent loan specialist maybe useful for you in your search for start-up funding which is the right fit for your needs. Without any partiality, the independent loan specialist can compare a range of products and lenders. This will help you save time and money, avoid confusion, and improve your chances of getting approved, as well. 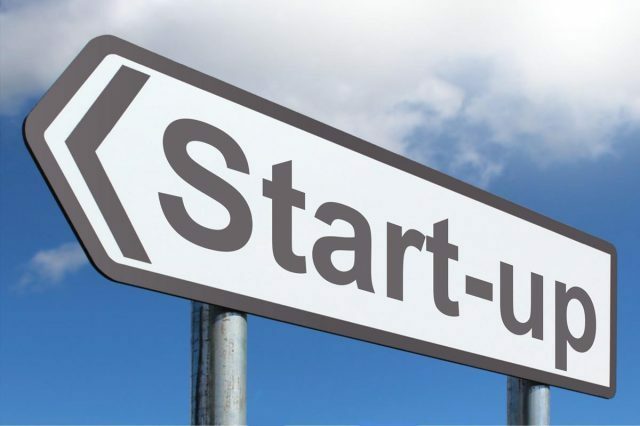 So if you are applying for start-up funding, the lesson really is – never settle for the first offer you get as it might not be the right fit for you. If your credit worthiness is suspect, getting start-up funding may be more difficult but certainly not impossible, especially if you have the right independent loan specialist to help you in your search. Ad the best news is, the services of an independent loan specialist is often free. The post Start-up funding – a little help can get you a long way appeared first on iCompareLoan Resources.